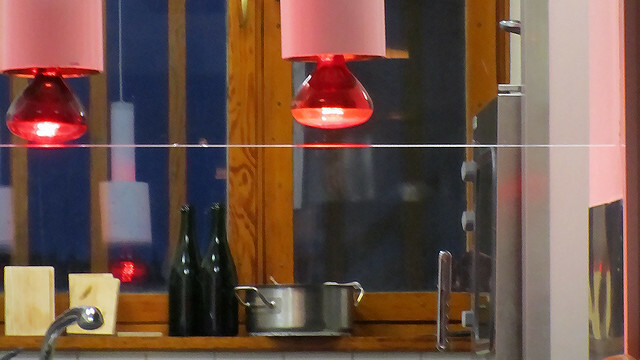 We arrived to the Nordic House in no time and were ushered in among the first diners of the evening. As there were some works outside the building, I didn’t take any photo for it would not do the building by Finnish modernist architect – Alvar Aalto – any justice. Other parts of the building also appeared to be closed (dark and no lighting) we didn’t explore further either. 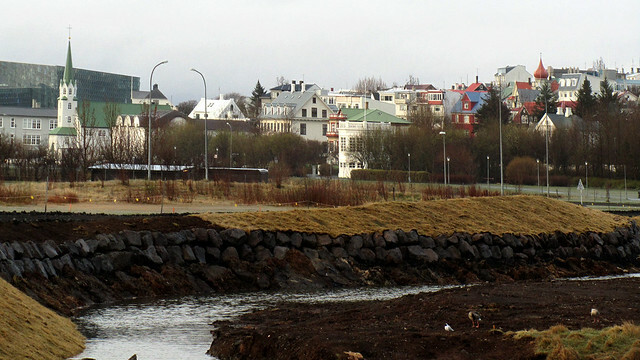 We did have a pretty view of Reykjavík from our table though. Besides, we were understandably hungry and eager to start eating. 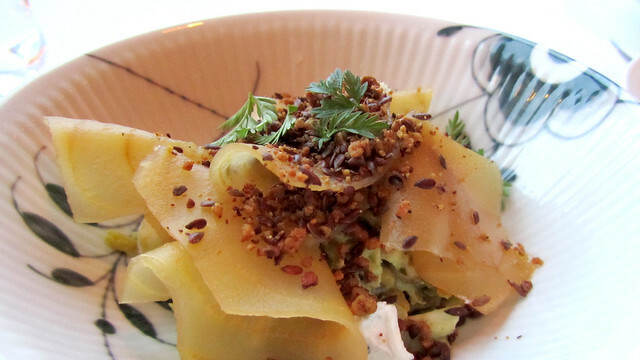 The philosophy of DILL Restaurant is to showcase Nordic fresh produce at its best, with a modern touch. They have their own greenhouse and herb plots just outside the building, source additional ingredients from the island, and even home-made certain components such as their own salt (with sea water brought back from northern part of the island, if I recall correctly). We had an option of 3, 5, or 7-course meal, and we went for the middle ground 5. Shortly after our order was put in, we were presented with a couple of amuse-buches to start the meal. As I am sensitive to shellfish (which was noted by our waiter), my first amuse-buche was different than that of LT’s. It was, well, I don’t know. It was not the crayfish which LT had in any case. At a guess, could it be fennel and some Iceland cheese? 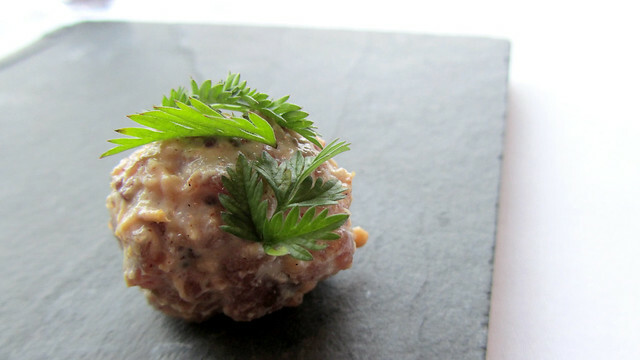 The second amuse-buche was a lot harder to forget – tartare of lamb with mustard and herbs. It was well-seasoned, succulent, and too small a bite! I could definitely eat a few more of these. Before the main dishes served, we were presented with rye bread and brioche together with home-produced salt, skyr and burnt butter. See that little dish below with liquid gold in it? That’s the burnt butter. Best dip for bread I’ve ever tasted, with a hint of earthiness but sweet at the same time from the caramelisation. Just thinking about this now is making me hungry. 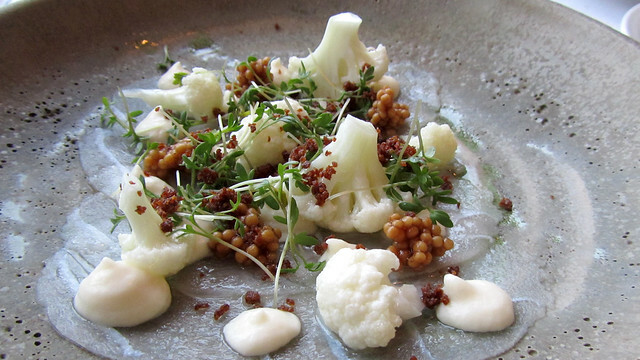 Fresh fish is abundant in Iceland, and for our first course, we ate thinly sliced marinated ling with cauliflower, cauliflower cream, microherb and rye bread. The ling tasted clean and fresh (I don’t know how else to describe it), delicate in texture, and nicely contrasted with the slight crunch in the cauliflower and the light cauliflower cream. The rye bread added another dimension to the dish, rounding it up nicely. 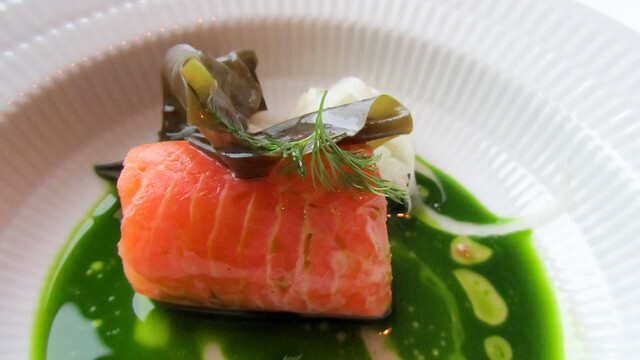 Next up was trout, served with seaweed, fennel, angelica and angelica emulsion. 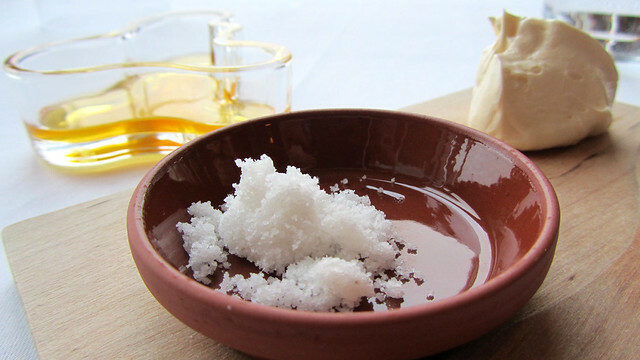 A little salty, a little herby, a little celery-like – it was a particular combination. The angelica came straight from their own herb garden and picked that very same day. Now, how’s that for freshness? Our next course was a vegetarian course, consisted of root vegetables (prominently featured here – rubataga) with toasted grains, chervil and something similar to crème fraîche. The root vegetables have been prepared in a number of ways to give different textures and consistencies without compromising the taste of each element. The sweetness, the earthiness, the light bitterness – each mouthful was a delight. 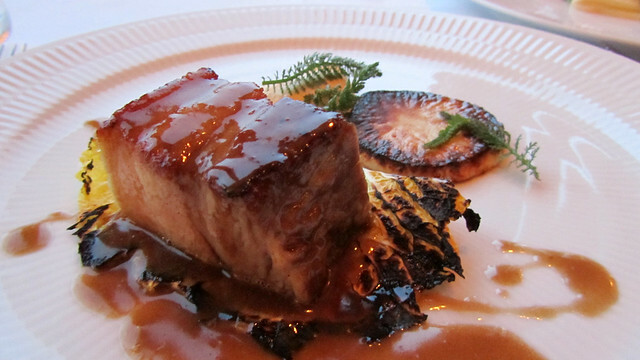 Our meat dish was pork belly which had been braised for hours before being roasted, thus maintaining the juiciness while giving it some crunch. The dish came with charred cabbage, potato gratin and arctic moss, and importantly, the jus – packed full of rounded, roasted flavour. At this stage, we were getting pretty full, but we couldn’t stop eating either. Good thing we were not given copious amount of bread, as I would definitely be wiping the plate clean if that was the case! Last but not least, we need something sweet to conclude the meal. We know now not to expect sweet pastries the way we usually find them in France. 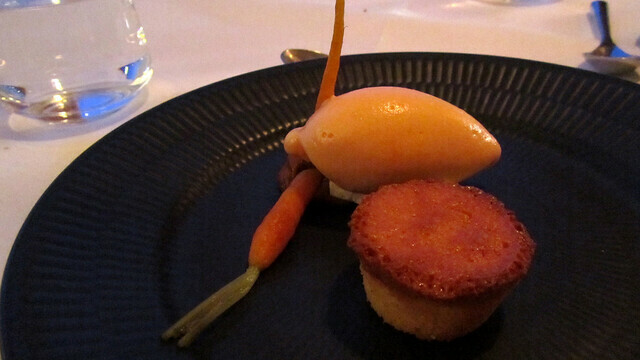 Lo and behold, a carrot-themed plate of cake and ice cream. I really like it how vegetables are so easily used to make desserts in this part of the world, and it pointed back to the more humble root of food in Iceland too, a land that has limited sweet fruit availability (notable exception berries). Words cannot convey just how much I enjoyed my meal at DILL Restaurant. Not only I get to eat deliciously prepared dishes using the freshest of local ingredients, I received an educational evening on Nordic cuisine. Even with “limited selection of produce” – I’m using the phrase very loosely here because it’s all relative – amazingly innovative plates have been served to us one after another. Serendipity may have brought me here, but given any future opportunity, this restaurant will definitely be a conscious choice. 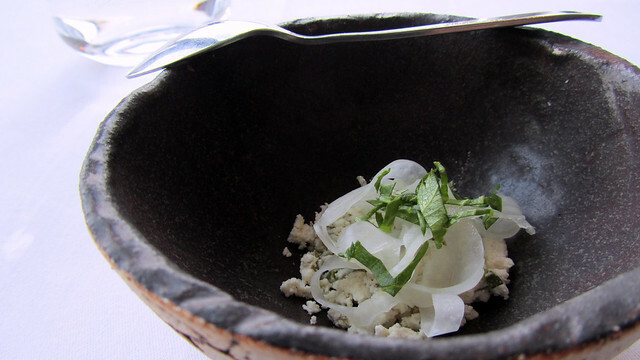 I would love to sit in for many more meals here and try a wide range of creative plates that the chef Gunnar Karl Gíslason would create for his diners. For anyone thinking Reykjavík could be a place for destination celebration, know that with a reservation of 20 people or more, the restaurant will be exclusively set up for your party for the evening.